Crystal Treble Clef Charm Bracelet – Add the perfect musical touch to any outfit with the crystal treble clef charm bracelet! 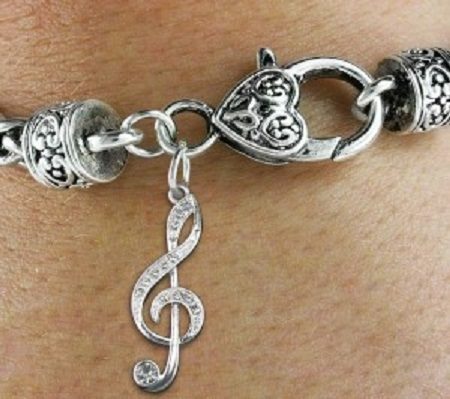 This beautiful charm bracelet is rhodium plated and the treble clef is inlaid with high quality Swarovski crystals. A truly unique piece that will surely stand out! The bracelet is only 0.250lbs so it wont be too heavy on your wrist!